Tis this season of giving! Our December blog post this month highlights the program “Toys for Tots”. Toys for Tots is a program run by the United States Marin Corps to distribute toys to children whose parents cannot afford to go holiday shopping. Joey’s Fund is always looking for ways to help our community and pay it forward. This year we were fortunate to receive a rather large toy donation from our founder’s brother, Mr. Darren DeCarlo, who was a former employee of Toys “R” Us. Before the company closed, he was able to get hundreds of toys, strollers and more which he donated to Joey’s Fund. Joey’s Fund took the toys and partnered up with the Closter Volunteer Ambulance and Rescue Corps this year! The Closter Volunteer Ambulance and Rescue Corps will be spending the holiday season going around to local hospitals giving all the toys, clothes and more that were donated. If you’re interested in donating toys, please call your local fire department or police department to see where you can drop them off to do your part in paying it forward. The Team at Joey’s Fund wishes you and your loved ones a very happy and healthy holiday season! Tis the season of giving! Our November blog post this month highlights the program “Toys For Tots” which is run by the United States Marine Corps to distribute toys to children whose parents cannot afford to go holiday shopping. 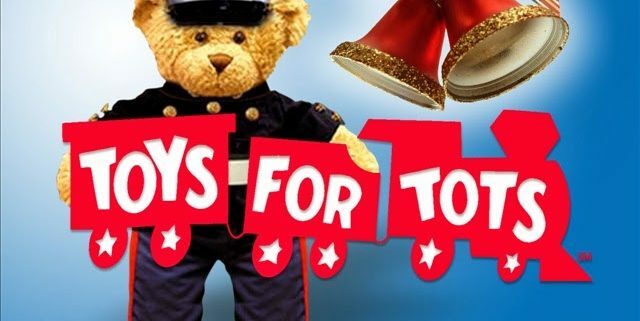 Toys For Tots collects new and unwrapped toys during the months of October, November and December each year and provides them to the community in which the campaign is being run. Their very first year of origin was all the way back in 1947, where the first toy donated was a handmade doll – how cool! For more information on finding drop off locations, please visit www.toysfortots.org. Joey’s Fund is committed to working hand in hand with various other initiatives that have such a profound impact on the health, happiness, and overall well being of our youth! We are in the process of partnering with Toys for Tots to become a distribution center; If you’re interested in donating toys for St. Joseph’s Children’s Hospital, you may simply ship them or drop them off to us at 255 County Rd Tenafly, NJ. Should you be interested in pitching in further with some of our holiday fundraisers, please visit our various partner sites outlined below. The Team at Joey’s Fund wishes you and yours a very happy and healthy holiday season! October is Breast Cancer awareness month! The NFL will turn pink for their crucial catch campaign , your Facebook feed will be full of pink ribbons and you will be seeing a lot of commercials and advertisements raising awareness for this disease. All of these actions help to spread awareness of breast cancer, educate those unaware of its reaches and shine light on the importance of early detection. According to the National Breast Cancer society, 1 in 8 women will be diagnosed with breast cancer in their lifetime. That is a scary number! Want to know how you can help to bring this number down? There are so many things that you can do to help this cause, here are just a few! Make a donation. Whether you have been touched personally or you know someone who has, you can make a donation in honor of a survivor, loved one or anonymously to help fund cancer research. Any donation amount helps! Volunteer! This month there will be plenty of events going on throughout New Jersey including breast cancer walks, charities and fund raisers. Donate your time and help the cause with your caring spirit. Share information. Help others understand that early detection is important, that there are treatment options available and that they are not alone! The National Breast Cancer Society has plenty of information that you can share on social media or in person right on their website. Whether you donate money, time, or share information, any way that you can help support this cause will mean something to someone affected by breast cancer. 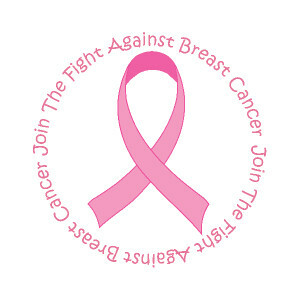 We at Joey’s Fund will be doing our part this month to raise awareness for Breast Cancer and we urge you to do the same! Let’s work together to help bring the numbers of those affected down.